A lot of people ask me about my symptoms. I can say after reading the long check list at my doctor’s office and reading all the symptoms associated with Lyme and co’s from numerous web sites that I have 98% of all the symptoms. The only symptoms I don’t have are breast pain, lactation and menstrual symptoms for obvious reasons (I’m a male). Here’s an older list from last year. Some may repeat. I know I left out many symptoms since there are 100’s but of course I am struggling to remember them all. I will try to add as I go. Early on, experienced a “flu-like” illness, after which you have not since felt well. Here is my Fibromyalgia symptoms list before being diagnosed also with Lyme and co’s. I had all 15 pressure points and 3 specialists and a family doctor diagnosed me with Fibromyalgia but knew I had more. As you can see the symptoms are the same as Lyme but there are differences such as Fibro Flares that can occur more frequently than Lyme flares and hurt more of just the muscles where Lyme and co’s is muscle and bone and then there are the pressure points. Heavy feeling throughout body and in my limbs as if my arms weigh 50lbs each. 17.Any history of a heart murmur or valve prolapse? 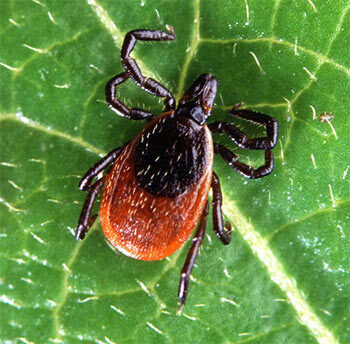 Approximately 25%- 66% of Babesia patients are known to be co-infected with Lyme disease. These symptoms may continue for long periods of time, decrease, then return. A low Babesiosis titer (IgG) often indicates a chronic infection. An acute or current infection may show a higher reading on the IgM test initially. There are over 100 species of Babesia in the United States but only ONE or TWO species are currently checked by commercial labs. by seizures (from focal to generalized, and from brief and self-limited to status epilepticus). Headaches, Cognitive Dysfunction, and CNS Lesions may be evident. head, and neck. The papules may appear on the skin or mucous membranes. Bartonella may also cause subcutaneous nodules, with some bone involvement possible. The nodules may show some hyperpigmentation, be tender, fester, and/or be enlarged or swollen, but not always. Radiculitis, Transverse Myelitis, Arthritis, Chronic Demyelinating Polyneuropathy. Took a long, exhausting car ride to my LLMD today. I was put on a new treatment as expected. I am staying away from the heavy dose of the usual antibiotics for now since I have no insurance until September and to take a break from antibiotics. I asked for herbal treatment and that is what I have received. I will be on only one antibiotic which I have already been on before so it’s no big deal. I seem to do pretty good on herbal treatments and do not herx or have huge die off. So I hope this one works a little better and kills these bugs. I also finally got the results of my MTHFR test back and it was not god news as I hoped. I have tested positive for both mutant genes but I do not have a copy of the test to share the specific genes and information just yet. I will share that information when I get a copy of the test. Basically my body is and has not been producing a correct enzyme which can give me risks of getting blood clots, occlusive vascular disease, neural tube defects, colon cancer and acute leukemia. In other words I have to take 2 more pills for life along with my thyroid pill. Each mutation of the gene can be handed down from one parent each or one may mutate on its own. Or so I am told, I’m still new to this. I have had these large red stretch marks on my body since I was a teen. I knew they were not from growing or from losing/gaining weight. They were always a mystery to me why one day they just appeared. Over time these stretch marks got bigger, redder and popped up in new places. My self esteem was very low in those days since my stomach looked like it had red tiger stripes. I now know these stretch marks are caused by Bartonella. If you Google “Bartonella stretch marks” you will find some pictures. My stretch marks first appeared on my stomach. They run vertically from the waistline to just above my belly button. They are about 6″ long, 1/2′ wide and they are equally spaced. all together about 10 of them. They are bright red and jagged not straight lines. The next set of stretch marks started to show up under my arm pits and the back of my arms. I have very thin, elastic type of skin so any place where the skin seem the thinnest there are marks. I have them on my inner thighs just under my groin. They also run down my back/spine and on my “love handles” which seems to be the most common place for the Bartonella marks to show up. I also have had hundreds of little bumps on my forehead. They are almost like tiny zits that scab over and I scrub them off in the shower daily. Sometimes my forehead will be almost clear with no bumps and other times there are bumps all over and some are larger like zits. I also get these bumps down my back and they feel like sand granules all over my back. I can scrub them off with my sponge in the shower. I am told these bumps are also Bartonella. They show up in the form of zits (with no white head). The common place for these bumps to show up are on the back and down the spine. You can get them all over the body. My Lyme is in cyst form and biofilm and I have been noticing very hard little white zit type things on my face a lot lately. They are not zits and they will not pop. They are hard white perfectly round balls the size of a tiny zit but they do not have a reddish area surrounding them. I will see a white ball on my cheek or under my eye. They never go away. I have taken a few out by using a needle and almost cutting them out. It takes a lot of work to get them out and some bleeding. I have to dig at them and finally the tiny hard white ball will come out. I wonder if this is a Lyme cyst? So many wonderful little surprises with Lyme disease and coinfections.